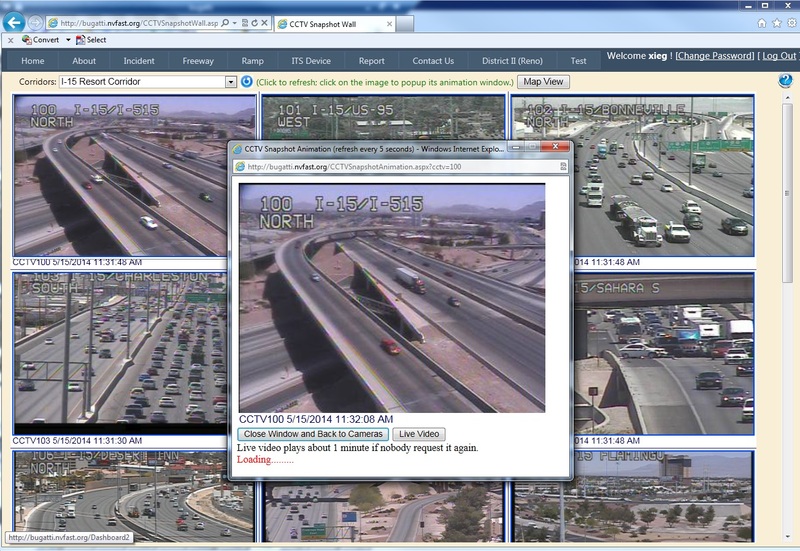 CCTV Snapshot Wall web page is a useful tool to view a corridor at a glance. Users can check the road conditions before they head out. 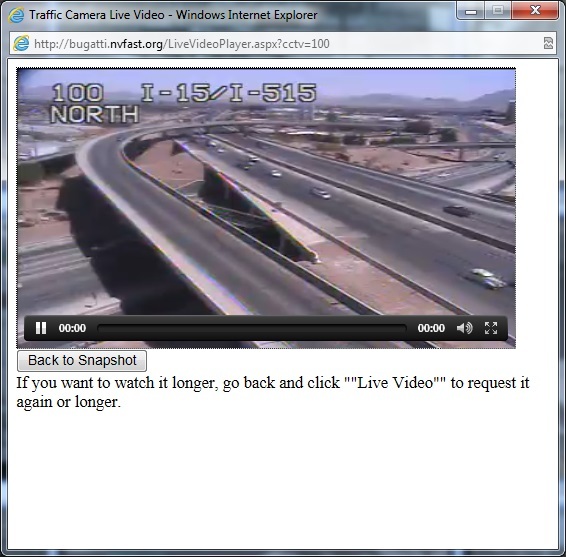 The cameras are organized by freeways, corridors or areas and lined up sequentially. 5. If you want to watch live video from this camera, click on the "Live Video" button. Wait for about 5 to 10 seconds, the live video will start playing. Please note the live streaming video is on-demand mode. If nobody requests the same camera's live video, the video will stop after 1.5 minutes. You need to go back and click "Live Video" button to request it again or longer. · Some camera snapshot might show as "Image Not Available" due to the camera malfunction or communication problem. · This web page can be viewed on mobile device and smart phones too. Just open the web browser on the smart phone and type in the address "http://bugatti.nvfast.org/CCTVSnapshotWall.aspx". It has been tested on IPhone, Android phones, and Blackberries. Theoretically, it should be working on any smart phone web browsers. Please "Contact Us" if you have any problem when view the snapshot or live video.